Almost all military medals owe their existence in one way or another to tragic but unavoidable reality of warfare. In the case of the Navy Cross, though, it can truly be said that it owes its existence not just to war, but to a uniquely 20th-century phenomenon: World War. Perhaps because of the astonishing amounts of heroism and bravery involved in the establishment of our young nation less than 150 years before, it had never crossed the minds of military leaders, planners, or luminaries that there might come a time when the display of those qualities not sufficient to be rewarded with the Medal of Honor might become a necessity. And the idea of a sovereign nation gratefully bestowing men and women from another country with awards for those slightly lower levels of bravery? It probably seemed just as far-fetched and unnecessary as putting up signs limiting how fast the new horseless carriage could travel on busy city streets. But the sheer magnitude and multinational nature of World War I changed a great many preconceptions regarding the recognitions of battlefield sacrifice, and its locale on the continent of Europe introduced officers and enlisted Americans alike to the notion—commonly shared by military authorities of the Allies with whom they fought---that it was most certainly fitting to award those fighting alongside one’s forces with some type of honor or recognition for outstanding and meritorious actions, even if they did not involve combat. 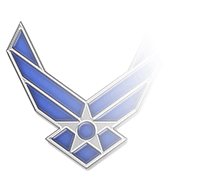 Consequently, in mid-1918 Congress established the Distinguished Service Cross and Distinguished Service Medal for the U.S. Army; the former was for combat heroism, the latter for extraordinary non-combat duty. 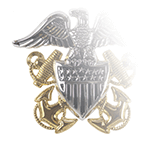 Similar awards were established for the Navy and Marine Corps following the end of the war (1919); for the Navy, a Distinguished Service Medal was also created. When first established in February, 1919, the Navy Cross was the service’s third-ranking award and could be given for combat heroism, other distinguished service, or both. 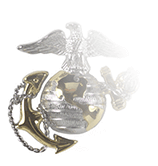 Still, because it ranked behind the Medal of Honor and the Navy Distinguished Service Medal (DSM), there were some Navy Cross awardees who felt that that the medal was actually a slight since it fell below the DSM in order of precedence. But Congress put an end to such misperceptions in 1942 when it amended the regulations regarding the Navy Cross, limiting its qualifying actions only to combat. 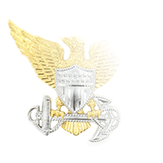 Today, the regulations regarding the awarding of this incredible honor are specific and to the point: it is to be awarded to individuals who, while performing any type of service with the either the Navy or Marine Corps, set themselves apart by “extraordinary heroism” that does not quite reach the level necessary to qualify for the Medal of Honor. These acts of extraordinary heroism must take place while the individual is engaged in action an enemy of the U.S., while engaged in military operations that involve conflict with an opposing foreign force, or while serving alongside friendly foreign forces that are engaged in an armed conflict—in which the U.S. is not a belligerent party—against an opposing armed force. Because of the high degree of honor and reverence afforded recipients of the Navy Cross, it sadly is one of the medals frequently worn illegitimately by those seeking to glean the respect and admiration that accompanies the wearing of the medal. 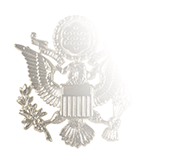 To help ensure the validity of the claims of those legitimately awarded this Medal for their extraordinary heroism, the Department of Defense has established a Web page at http://valor.defense.gov/called Military Awards for Valor that lists authentic recipients not only of the Navy Cross, but also the Medal of Honor and Silver Star.